Home » Pregnancy » Mental Health » Is It Possible To Get Depressed For No Reason During Pregnancy? It’s unlikely that you’re feeling depressed in your pregnancy for no reason at all but with all the powerful changes pregnancy brings it can be difficult to pinpoint exactly what’s going on. Let’s take a look at some common experiences of depression in pregnancy, some questions you may have, and the types of thoughts and feelings that you could go through. I Don’t Suffer with Depression Normally. Why Do I Feel Depressed Now? Given the fact that depression can start at any point in life, it’s not surprising that depression can begin during pregnancy as well. It’s estimated that 1 in 8 pregnant women will become depressed during their pregnancy which means that depression is extremely common during pregnancy, even though it’s not always talked about openly. One thing that often happens in pregnancy is that we become quite vulnerable and needy. Our needs for security, both financial and emotional, are much higher. You will need emotional support from your partner, close family and friends, or at the very least someone you can trust. Sometimes these needs for support and care cannot be met, again for reasons that are not in your power to control, and that can lead to depression. Pregnancy is a unique physical, psychological and social experience that will literally change your life forever. 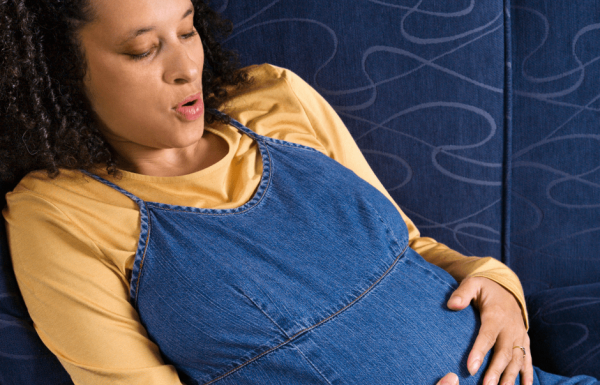 There are so many factors that can affect why some women become depressed during pregnancy. None of which should be ignored or taken lightly. The hormonal, physical and social aspects of pregnancy are something you have little or no control over but can easily strain your psychological capacity beyond what you can cope with. That’s nothing to feel ashamed of so please be kind to yourself and try to accept your situation for what it is – temporary. I know it feels like forever right now, but you won’t be pregnant forever. 1. There’s no getting away from the enormity of pregnancy. Pregnancy can transform your life forever. That in itself can feel overwhelming for some. 2. The physical changes your body goes through to be able to nurture your baby are dramatic. 3. The shape of your body adjusts to your new state of being, and you will gain some weight. 4. Hormones like estrogen, progesterone, and oxytocin rise to very high levels and can cause a wide range of less desired symptoms, from “morning” sickness, frequent urination, swollen and painful breasts to intense emotional mood swings. 5. Sometimes these symptoms alone can be so unpleasant and severe that you end up feeling exhausted and emotionally drained which can easily lead to depressed feelings. 6. Additionally, pregnancy can lead to a deficiency in minerals that are closely linked with depressive symptoms like zinc and iron. This is why prenatal supplements are not something to take lightly. 7. Experiencing the biological side of pregnancy has a massive psychological impact. 8. You might feel like you are not in control of your body. Your body image needs to adjust to these new changes. 9. It is completely normal to start worrying if you are ever going to be your “old self” again. For women who have struggled with insecurity, self-esteem issues or depression in the past, this can be particularly challenging and can increase their risk for antenatal depression. 10. If you’ve experienced miscarriage, abortion or stillbirth, your new pregnancy can bring those memories back and activate new fears, anxiety, and sadness. If you do not address these feelings now or become aware of their potential influence, you are at a higher risk for antenatal depression. 11. Your relationship with your partner is challenged by the pregnancy as well. Pregnancy can be as emotional for the dad-to-be as it is for the mom-to-be. Your needs for attention and security might be stronger, and your partner might have a difficult time trying to understand what you are feeling. 12. Even if you and your partner wanted the pregnancy and are looking forward to the new baby, the practical reality of pregnancy might be scary and overwhelming. 13. And, it might be even harder if you are frightened about your financial security, have little or no support from the close family or already have a troubled relationship. You are a young mom faced with the disapproval of your family and friends. Your pregnancy is unplanned and the baby is unwanted. You’ve experienced abuse or domestic violence in the past. You’ve been sexually assaulted in the past. You have a history of depressive episodes or mental health problems. If you’re feeling persistent and severe depressive symptoms for more than two weeks (at any stage of pregnancy), then you might be experiencing what is called antenatal or prenatal depression. Since every woman and every pregnancy are different, the symptoms of antenatal depression can vary as well. Some moms-to-be experience extremely low mood involving frequent crying, bursts of anger or persistent sadness. Others might feel emotionally detached and “numb” concerning both their pregnancy and their partner. Antenatal depression in almost all cases involves catastrophic worrying about the pregnancy, baby’s health or the future. Thinking about whether you’re going to be a good mom to your child is a good thing. But being convinced that you’re going to be a terrible mother and that your own and your baby’s future is doomed is the type of thinking characteristic of antenatal depression. Pregnancy is a time when we’re expected to feel happiness and joy about bringing a new life into the world. That makes acknowledging and accepting depressed feelings even harder. If you’re constantly worried, desperate and crying all the time you might be feeling guilty and blame yourself for your symptoms. You might worry your baby is going to be taken away because your depressive thoughts are making you believe you’ll be a horrible mother. This is one reason it’s even harder for expectant moms who are experiencing antenatal depression symptoms to talk to their partner, midwife or doctor and ask for help. The most important thing you need to know is that antenatal depression is not your fault. You have nothing to feel guilty about or blame yourself for. There are safe and effective treatments for antenatal depression available. Your doctor or midwife will have supported many other women experiencing the same thoughts and feelings that you’re having and will be able to give you the support you need so do let them know what’s going on. Am I more Likely to Get Post-natal depression? Postnatal depression involves persistent depressive symptoms that usually begin in the first few days and weeks after labor and birth. Antenatal depression does not inevitably lead to postnatal depression. 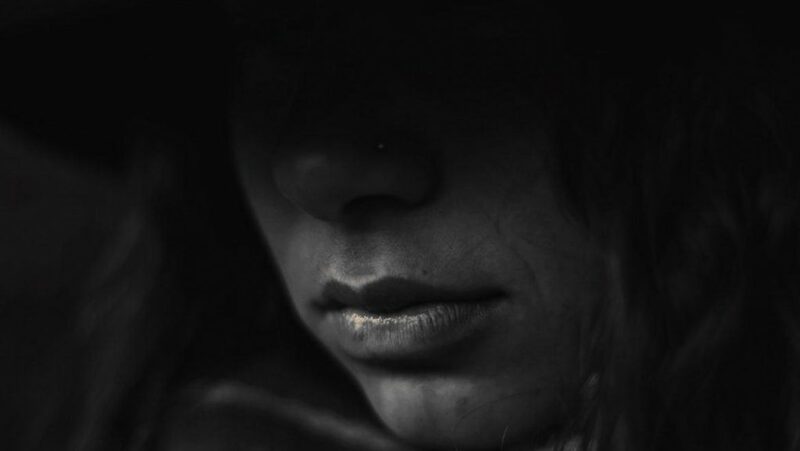 However, the risk for postnatal depression following depressive episodes during pregnancy is higher in women who didn’t seek treatment for antenatal depression. Hopefully you’ve learned from this short overview that there are many reasons why you might start feeling depressed in pregnancy. It may seem like there’s no real reason for the depression but usually there’s something behind it. Hopefully we’ve helped spark some ideas in your mind as to what could be the cause. Often it’s due to a number of factors that seem small on their own but become overwhelming when all stacked on top of one another. The best thing to do is to get support to learn how to cope with these new challenges and find new ways to manage the depressive feelings. Seeking professional help as soon as you start suspecting you might be experiencing antenatal depression is always a good move.